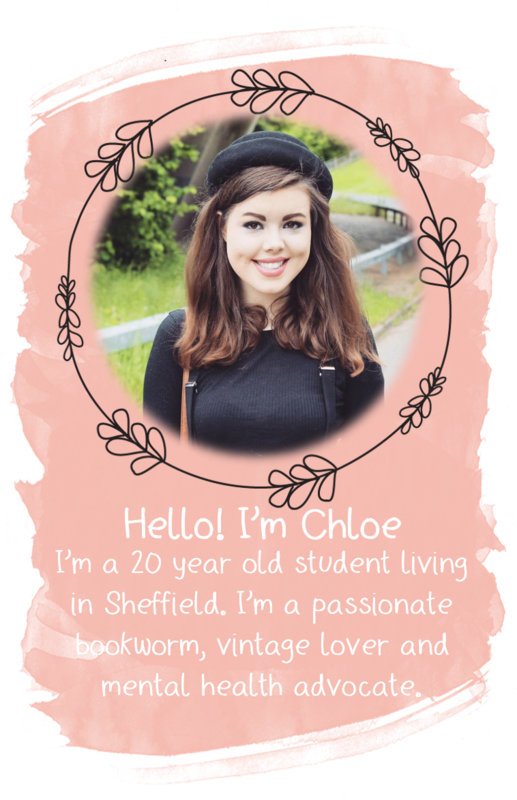 YOURS CHLOE: Beauty Blogger Tag! It's normally quite tousled and wavy! A sort of medium brown colour. I wash my hair every other day because i find it gets dirty quite quickly! I rarely do anything with my hair! Just leave it to do what it wants! But sometimes i pin back a section of hair from the front of my hair, round at the back. I prefer to do it myself! Well i'm not allowed to wear nail polish at school so i only wear it when it's the school holidays, and then i will change it after about a week. I always wear polish on my toes! It makes them look nicer and i just like it. It usually takes me about 10-15 minuets. I don't wear many different products. Always face! Or i end up smudging my eye make-up with my foundation sponge or my powder brush and everything goes wrong! I'm quite good at only buying make-up when i need it because i normally wear the same make-up everyday but my weakness is lipgloss! Oh and nail polish! I don't know why but i love trying new lip/nail products, more than i do skin and eye products! I think it's because of all the different colours you can try! I've actually never worn them! I might try some out in April at a big posh family party though. If i'm going to either leave the house, or if people other than my parents and sister are going to be in the house, then i will put a full face on, but if not i will just put on some concealer. Just a dab of concealer. Never! I have like no confidence when i'm without make-up! It's bad i know but if i'm sleeping round someones house or something i will take a stick concealer and keep applying it all night! Once every 2 weeks maybe? But i don't use them alot anyway. Normally when i'm getting dressed unless it's an early start or i've got something planned. Hardly ever! I love love love my bag at the moment so i don't think i'll be changing any time soon! I get up at around 7:15am and i go to bed sometime between 10pm and 11:30pm. I don't often due to a hip problem but i do go swimming once every few weeks and i go to regular dance classes which keeps me fit. Around 5'9. I'm super tall! I learn German at school and i learnt French from when i was 3 to when i was 11. I do when I am commenting on a post, or sometimes if i want to follow new blogs i look at the people who have commented on a certain post and then i check out their blog. I do read and reply to all comments posted on my blog! Yes! I have a list in a notebook i keep in my handbag so i can check it when i'm in boots. It's one of my favourite quotes (shortened down a little bit) by John Lennon. I clean my room as it gets messy really, just putting things away as i go along. And i help clean my house every few days to help my parents out. 33. What is your favourite beauty/fashion magazine? I can't choose! I read them all! Literally! Not very often actually. Just like really mild things everyday unless i'm really angry. It's 12:42am so hopefully sleep! So i hope you enjoyed this! And i tag you all to do this if you want to! Make sure to comment and tell me if you do it so i can read your answers!